Over the past few months, I have noticed Pinterest climbing up the ranks when it comes to my site referrals in my analytics, and I think that it’s no coincidence that it comes as I’ve started to make much more effort on the creative platform. 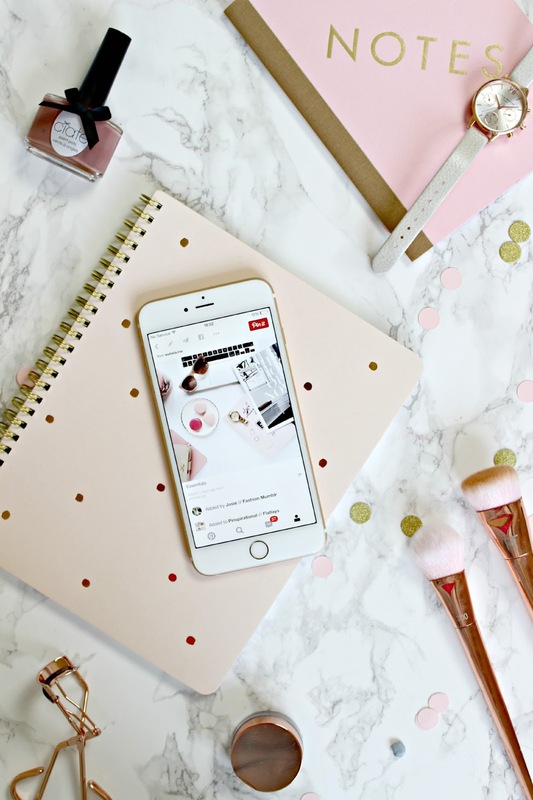 Since attending a blogger breakfast with them a few weeks ago, I have been putting into practise a few of the tips and tricks that they shared, on how to use Pinterest as a powerful traffic referral site for your blog, or business. In this post, I’m going to share the tips that I picked up from the team at Pinterest HQ, and a few tips of my own on how to grow your audience and drive traffic to your blog (or any other website for that matter!) by using Pinterest. Why Using Pinterest is great for Blogging and Business! Whether you’re looking for a recipe idea, DIY inspiration, or just some ideas on how to decorate your bedroom, chances are you are heading to Pinterest before other search engines such as Google, or even Instagram. 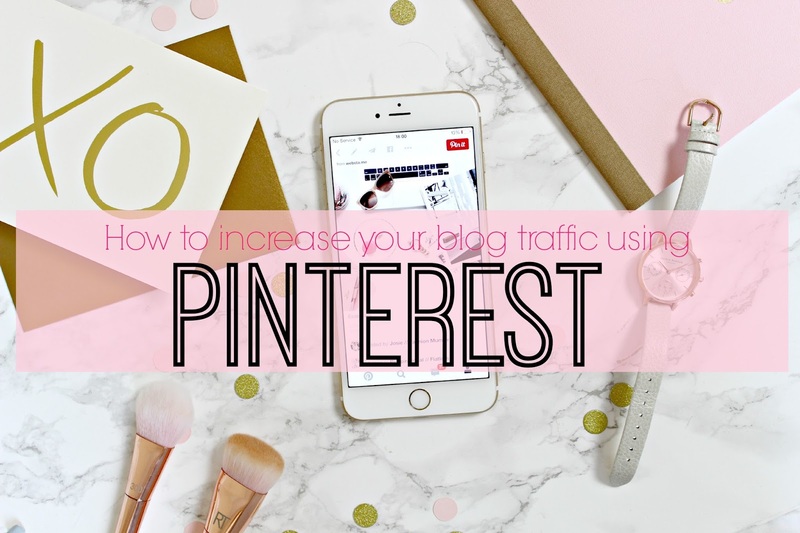 If you are not pinning the images from your blog, and therefore allowing others to pin them, they you’re missing out on a huge opportunity for your articles to come up in Pinterest searches. Every time your image gets repinned, your blog or website is being exposed to a whole new following. Imagine a ripple effect – if people repin your original pin, it then appears on their followers boards. Without you making any extra effort, the click throughs from that one pin will multiply over, and over, and over again. A humongous 80% of pins are repins, while less than 2% of tweets are Retweets – so it would be crazy not to use Pinterest to expand the reach of your content, and get more readers back to your site. If you think about it, a tweet lasts just a few minutes on your timeline, and Instagram image is only good while it’s in your feed or unless you go to someones profile, but the life expectancy of a pin is months, if not years. Although the most recent pins come up first in a user’s Pinterest feed, they don’t die off like they do on other social platforms. One of the things that frustrates me most about Instagram is that you can’t click through to your site without going to your bio. But with Pinterest, a user just clicks an image to see it’s source (your blog) and can then just click through to the original article. You can track how Pinterest links back to your sites. If you set up Rich Pins, you can see detailed analytics which show which content is being pinned from your site, how many people are repinning your images, and even what your followers are interested in so that you can plan your blog posts accordingly. Although some pins are in fact advertisements, whether for blog posts, wall papers, or beauty products, people don’t seem to recognise them as adverts so much because they are pinning them for inspiration or reference. As bloggers, this is a great way to share our posts without seeming gimmicky, or like we are self promoting. If other people are pinning from your site then it’s almost like getting them to market your products for you! So, I’ve persuaded you that you need to get your act together when it comes to using Pinterest, so here are my tips for how to best utliize the site. Join Pinterest as a business. If you have a business account, your site will be verified so Pinterest knows it is a trustworthy source, and you’ll be able to use the analytics. You can sign up for this here. It’s all about the imagery on Pinterest, and so for users to access your site via a pin, they need to have chosen your image from hundreds of other images. Keep your imagery consistent and beautiful – time spent on taking better photos will be very worth while when you start getting hits from all those Pinterest shares! Vertical images have a higher chance of getting repinned as they appear larger in Pinterest feeds, so if you post with horizontal images (like I do) then it’s worth creating special images just for Pinterest. Just like Instagram (my tips on how to improve your instagram images can be found here!) you r Pinterest is an extension of your personal brand. With this in mind, only choose pins and boards that reflect well on your blog or business. Encourage your visitors to pin from your site. By making it super easy for your audience to pin from your site, then they are doing the hard work for you. Installing a Pin-It button lets readers add images from your site to their Pinterest boards, making your content viewable to their audience. Find out how to add the buttons here. Setting up boards which compliment your offering and reinforce your blog branding is a great way to drive traffic to your Pinterest boards, and so your blog. You can build boards up around old blog post images to drive traffic to your old content. Just as we like to tweet links to our blogs and Instagrams, it’s nice to share our latest pins and show our followers that we are active on Pinterest. On your blog, putting a link to your Pinterest in your sidebar will encourage your readers to join you on the platform. The name of your image will appear in the pin description, and so by using relevant key words, your pins will come up more highly in search results. This way, people pinning from your site don’t need to worry about coming up with a description, and the keywords will be there ready for them! Do you have any more tips for using Pinterest? Which is your favourite Social Media site? Previous Post Top Tips for getting Summer Ready Legs!